Dr. Maslavi is a Pediatric Dental specialist, the dental equivalent of a pediatrician. She and her staff are happy to provide dental care for infants, children, adolescents, as well as children with special needs. 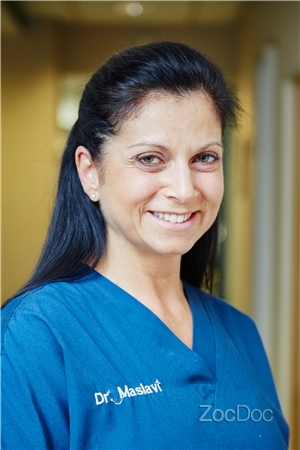 Dr. Maslavi received her dental degree from New York University. She went on to specialize in Pediatric Dentistry at New York University, where she then served as Associate Clinical Professor for three years. She is an active member of the American Academy of Pediatric Dentistry, the American Dental Association, and the Queens County Dental Society.